Featuring solid pine slabs and a hand-crafted barrel base, this end table is the perfect industrial accent piece. Iron nailheads and accents complete the table's authentic industrial look. 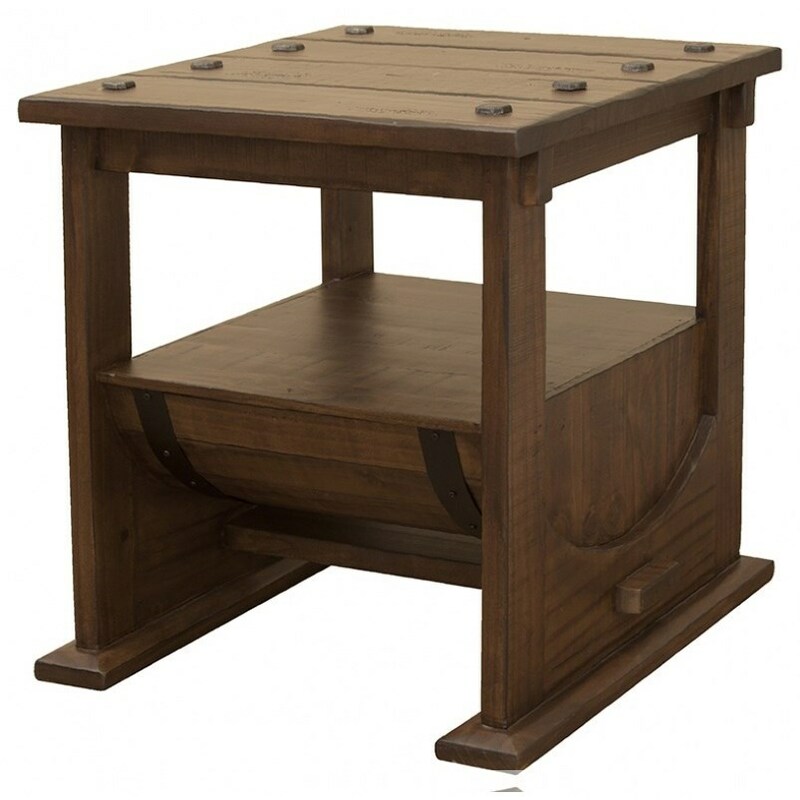 The Bourbon Solid Pine Barrel End Table by International Furniture Direct at Houston's Yuma Furniture in the Yuma, El Centro CA, San Luis, Arizona area. Product availability may vary. Contact us for the most current availability on this product.